Our clocks "Come Alive" when you add the motion of a pendulum. We have over 70 designs available with this option. Click Here to view all designs. 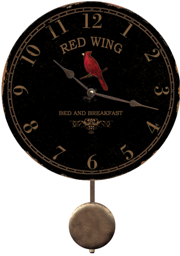 Our round clock designs are available in 6 variations including 3 sizes available with pendulums. Just click the thumbnail of your favorite clock to view a complete listing of options. We are a 100% Made in the USA Company. 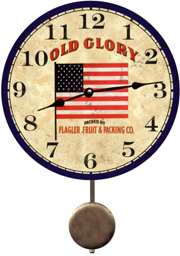 Even our Quartz Clock Movements are made in the USA! 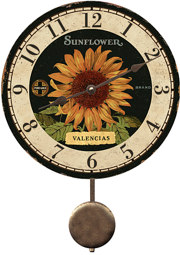 Our clocks consist of high quality prints that are hand mounted and finished. Each clock is carefully assembled and finished by hand. 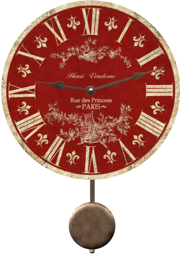 We hope you enjoyed browsing our selection of Clocks With Pendulum.